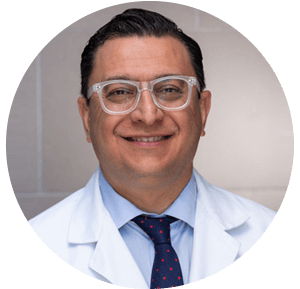 Dr. Jamshidinia at Tower Foot and Ankle Surgery is a board certified Podiatrist and foot surgeon trained in all areas of foot and ankle surgery. 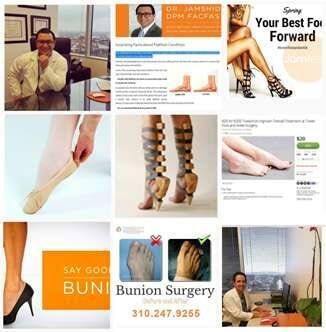 He is Board Certified by the American Board of Podiatric Surgery. Tendonitis, which is an acute inflammatory condition, or tendinosis, which is a chronic degenerative condition, are considered to be “overuse” injuries that can cause tiny tears of the muscle and/or tendon fibers resulting in weakness and pain. Both tendonitis and tendinosis affect the normal healing process of the damaged tissue and can lead to pain and dysfunction. Using the body’s natural healing abilities in a concentrated dose and area can be highly effective in treating these, and other similar types of injuries. Platelets are tiny cells in our bodies that are critical to healing and repair. They are the body’s primary source of bioactive tissue growth factors. Platelets initiate repair and attract the assistance of stem cells. 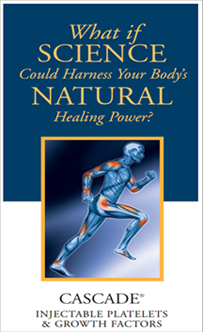 These healing components regulate your body’s natural healing response following injury. By concentrating these healing factors and injecting them directly into the site of injury, an exponential healing response is achieved. A recent study looking at the treatment of elbow tendinosis (tennis elbow) with platelet therapy showed that over 90% of the patients were completely satisfied with their results and did not opt for surgery in the weeks and months following a single treatment. A similar study treating chronic Plantar Fasciitis pain with platelet therapy also demonstrated favorable results after one year. A very small amount of blood is drawn from the patient into a sterile tube just as if you were undergoing a standard blood draw. The patient’s blood is then placed into a centrifuge machine and spun to separate the platelets and growth factors from the other blood components. After this process is complete, the concentrated platelets and growth factors are removed and injected directly into the site of the injury. Using a sterile needle, Dr. Jamshidinia will inject the platelets and growth factors in and around the injury site. The injected platelets release the growth factors and attract the assistance of stem cells to help facilitate the process of regeneration and remodeling of the damaged area. This is all accomplished without using any animal products or other foreign material. Research and clinical data show platelet therapy using the patient’s own blood is safe, with minimal risk of adverse reactions or complications. Because the platelets and growth factors are produced from your own blood, there is no risk of rejection or disease transmission. As with any injection into the body, there is a small risk of infection, however it is very rare.